Whilst claiming he was hurt by attempts to assassinate his character, Minister of Foreign Affairs and National Lotteries Ravi Karunanayake himself went on to drag a nonrelated relationship of one of the witnesses, lawyers monitoring the proceedings of the Commission investigating the Bond Scam told Colombo Telegraph. Day before yesterday when Minister Karunanayake was questioned as to whether he knew that Arjun Aloysius had met his wife Mela and had discussed the leasing agreement of the Penthouse Apartment, instead of giving a clear answer he said, “No, I don’t know about that, but Arjun Aloysius is Anika Wijesuriya’s former lover”. Subsequently when answering another question, he once again mentioned that Arjun Aloysius was the former lover of Anika Wijesuriya. Meanwhile speaking to journalists and media immediately after his grilling, Minister Karunanayake went on to say “I can accept the piercing of the enemy’s arrow. But, the pin pricking of friends is much more hurtful”. “The irony is that he is the one who used the pin to prick his ‘relation’, according to him,” the lawyers who spoke to Colombo Telegraph said. However earlier when Anika Wijesuriya was giving evidence before the Bond Commission she was asked if she knew Arjun Aloysius. She said she knew him first through her schooling at the Colombo International School and thereafter as a friend of a person she had had a relationship with. At no point did she claim that Arjun Aloysius was her former lover. Lawyers representing Arjun Aloysius however never suggested or challenged her if she was the ex-lover of Arjun Aloysius during the time of being cross examined when she was giving evidence. Instead they went on to ask her if she knew a person by the name of Jude Shramantha Jayamaha. Even though they never went on to identify who that man is, he is the man currently serving a death sentence for the famous Royal Park Murder. Anika said she knew him, but no further questions were asked regarding that matter. “What is baffling is that Ravi Karunanayake who cannot/did not/may not remember who paid for the penthouse, remembers that Arjun Aloysius was Anika Wijeysuriya’s lover. This leads us to believe that Ravi Karunanayake would use any path to discredit someone who crosses him. a) Anika Wijeysuriya leased her house and signed a legal agreement. b) Anika Wijeysuriya registered the lease agreement. c) Anika Wijeysuriya responded to summons by the Presidential Commission. d) Anika Wijeysuriya gave evidence according to what happened truthfully. So, what earthly reason is there to discredit her character? YOU DECIDE” the lawyer told Colombo Telegraph. Meanwhile a website which is paid around US$ 3000 per month to carry two advertisements of the National Lotteries Board, which comes under Minister Ravi Karunanayake’s purview, used an ad hoc writer to sling mud at Anika Wijesuriya. 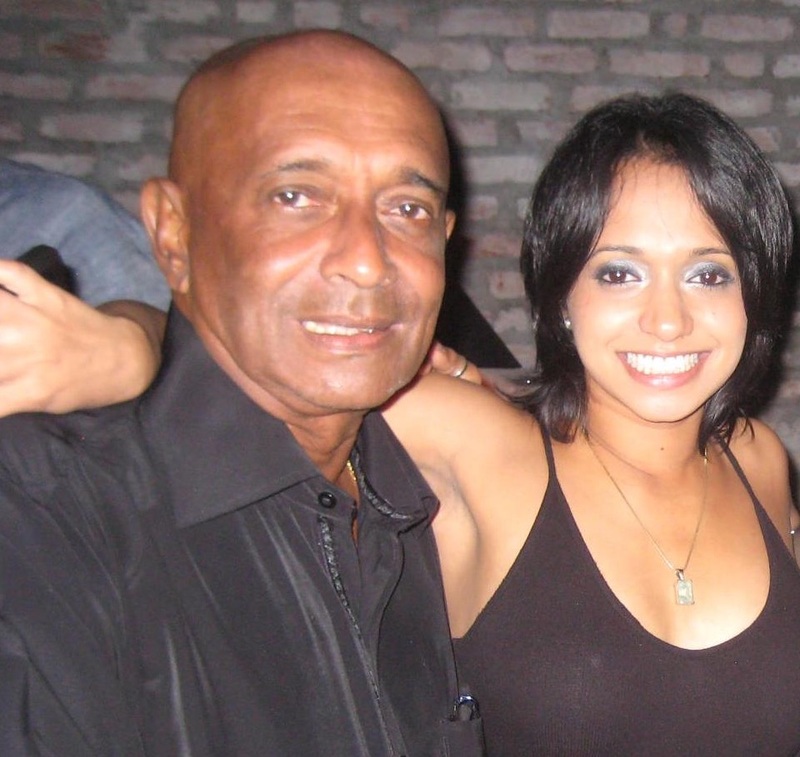 Anika Wijesuriya who used two parts of her full name Muthukudaarachchige Vinodini whilst giving evidence as the former owner of the Monarch Residencies Penthouse, is the daughter of business tycoon Nahil Wijesuriya. Her full name reads as Muthukuda Wijesuriya Arachchige D.A. Anika Vinodini Jayasuriya. After giving evidence her lawyer requested the Commissioners to give a ruling in order to protect her and her family identities. The Commissioners said that they cannot rule in that favour and denied the lawyer’s request. She is a Director on the Board of East West Properties PLC, a company which is owned by her father. Why Only My Father's Name Comes Up All The Time In Such A Huge Government? The ‘others’ are not – meaning the corrupt structure set up is so robust that it will NOT collapse. Absolutely. We are all being taken for second ride. The first was, one before, these riders! May people of Sri Lanka, live long! People say Yahapalana govt is better than Mahinda Rajapakse. Only difference is media can write now. but, Maithriapala sirisena and (he lerned it from Ranil) Ranil are deaf to the media, and blind to what is happening Partly, first Ranil used it together with FCID as a game to destroy SLFP. Now, it is the otherway, out of Ranil, Mali and Ravi Karunanayake, RK has talked. CT does not know its right hand from its left hand like the village comments unable to identify who is supporting whom. highjacking the blog name is proof enough of incompetence. Any takers? they call themselves Colombo elites, hailing from this caste and that caste, but in actual fact they’re living a life of hell with promiscuity, immorality & every vice one can think of under the sun, disgusting & stinking sinners!. Why in the first place at the onset this woman hadn’t reported this to the authorities? Why she waited two long years while enjoying the ill gotten money? All looks some thing fishy, she and her clan should be investigated thoroughly. If she was clean, she should have reported this immediately when it happened and doing now shows that there are other motives for it.